Confused about indicas vs. sativas? Scratching your head over what “kief” is? Wondering if “topical” has anything to do with blended drinks on the beach? 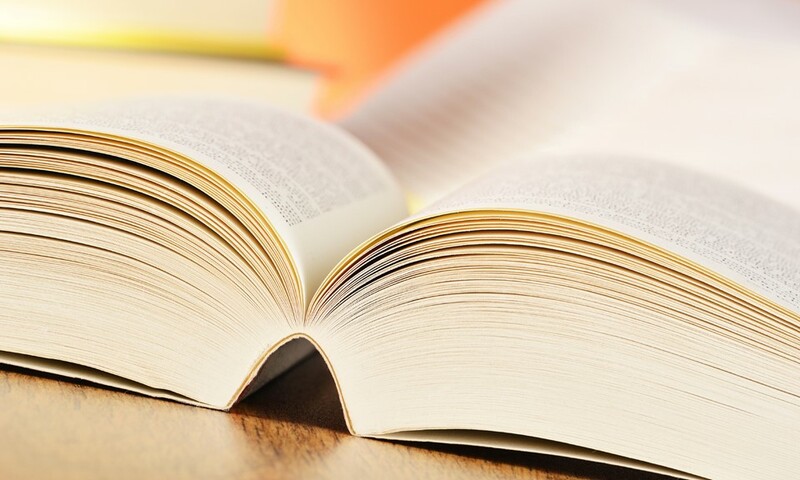 Browse our glossary to find a variety of cannabis term definitions and become more educated on industry terminology. When you’re done reading through the glossary, you’ll know your kush from your tinctures and everything in between! “Aroma” is a term used to describe the general smell and/or taste of a certain plant or flower. Because consumers’ individual definition of aromas (such as “earthy,” skunky,” or “citrus“) can differ somewhat, aroma descriptions are meant as a basic guideline. A backcross is a hybrid plant that has been bred with one of its parents (or a plant that is genetically similar) in order to create offspring that is closer to that of the original parent. For example, a grower could breed a plant with its own father to make sure the baby has its dad’s height. This is often done to maintain rarer strains or strengthen those with desired recessive genes. A large pipe, usually made of glass, that uses water to diffuse and cool the smoke as you breathe it into your lungs. Cannabis wrapped in a tobacco leaf cigar or cigarillo paper. The cigar may be hollowed out and then re-rolled with cannabis, and the origin of the name was coined due to the popularity of the brand Phillies Blunt Cigars. Blunts often burn longer than joints and are usually found in larger social gatherings. A handheld pipe, usually made of glass, with a water reservoir at the bottom to cool and diffuse the smoke before it is inhaled. This is the attendant working behind the counter at your local dispensary or retail cannabis shop who may be able to answer your questions on strains, cannabis products, and make suggestions based on your needs. CO2 oil is a cannabis concentrate, made from the Supercritical CO2 extraction process. 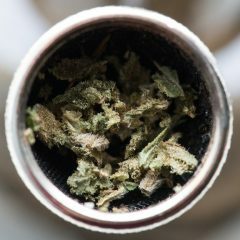 Supercritical CO2 is a fluid state of carbon dioxide held at or above the critical point of temperature and pressure, which can be used as a solvent in the cannabis extraction process. This refers to a clipping from a cannabis plant, which can then be rooted and grown through a cloning process of the mother plant, from which the clone was cut. A dab is a slang term used to refer to a dose of cannabis concentrates “dabbed” onto a redhot surface and inhaled. The act of “dabbing” refers to partaking in dabs. A word used to describe sticky, high-quality cannabis with a strong aroma. 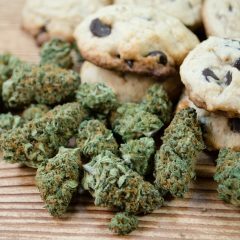 Edibles are medicated edible goods that have been infused with cannabis extracts. They are commonly baked goods such as cookies and brownies, but options as varied as flavored coffee drinks, breads, and candies exist as well. Dispensaries also often sell marijuana-infused butters or oils for patients or consumers to make their own edibles. 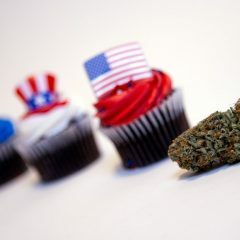 Consuming edibles means the active components from the extracts require longer to take effect as they need to be absorbed through the digestive system. term” I didn’t recognize was..brain freeze (a strain grows geographically in a certain region and you grow the plant in a different part of the planet). BTW whatever the term is it’s not something that you need to know or else… all your girls die… Jk. I know a good amount of acronyms but I’m not a newb either, stupid term anyways. The best thing I did was join 420magazine.com and the experienced, knowledgeable, and genuine good people are happy with any and all Qs. I could go on for days about what I did not know and what I do now increased my 2nd grow of fem blue cheese in my dwc setup produced almost 5 dry/cured Zs from each plant on average. I’m pretty happy with the grow to say the least. 4 plants, 2nd grow, and just under 20 Zs of dried, cured correctly, primo, dank cheese. Leafy… Plz provide acronyms for u newbs. NO CLUE IF I SPELLED THAT ACRONYM CORRECTLY OR NOT. . I know I would appreciate it and I’m 99.99999% sure that others will as well. Thanks in advance. JR.
Great list of terms. Thank you for sharing them. Very helpful. I’m a complete novice at 73 and just started using 420 for arthritis pain. I wish many of the glossary terms would tell how to use whatever the word is describing. How do I use “wax”,”honey oil””shatter” etc.? I’ll find out but it would be great if that info was included with certain terms. Thanks for the list. Much appreciated.